Oliver Nash has been picked to be part of the GB Cadet squad following a very successful year fencing at national and international level. 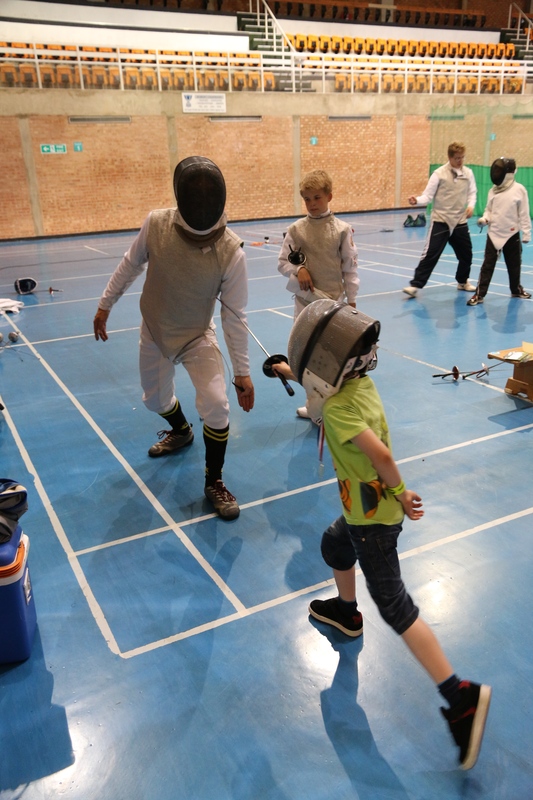 Fencers from Sutton Coldfield went over to Wrekin club for a friendly competition. We sent foil and sabre fencers from the adults club and foilists from the junior club. S o it was an extremely hot evening and the cooling system in the sports hall had broken. 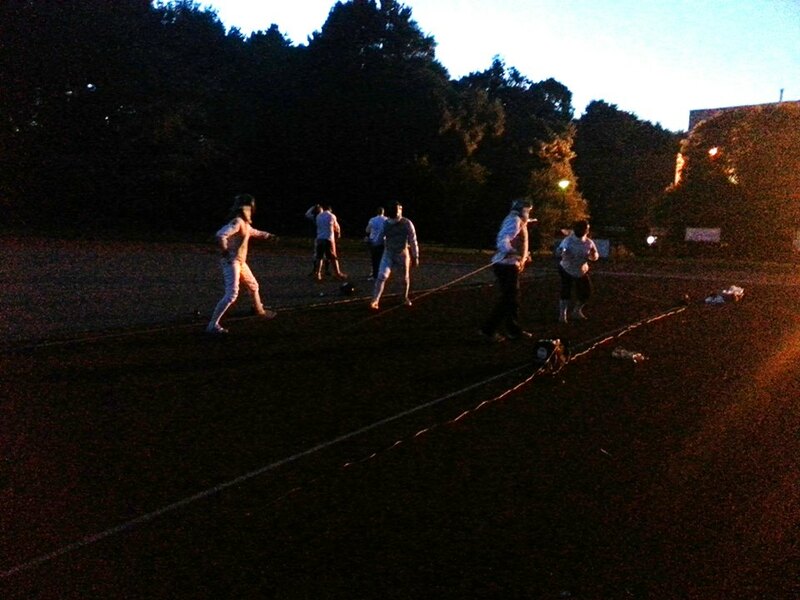 It was too hot to even do a ‘warm up’ without wearing fencing gear, so we fenced outside on the running track, until it got too dark…. We decided to take part in the Sutton games this year although only on the Saturday. This is a 2 day event held in July where members of the public can try lots of different sports. Unfortuantely for us, it was a very hot day and the cooling system had broken in the sports hall. But between us (Gavin, Julie, Franco, Ollie and Archie) we managed to provide countless short taster sessions to mainly young kids. Our attempt at some sort of organisation went through the roof as people just turned up in dribs and drabs, but we managed to survive and we even volunteered to take part in 2015. 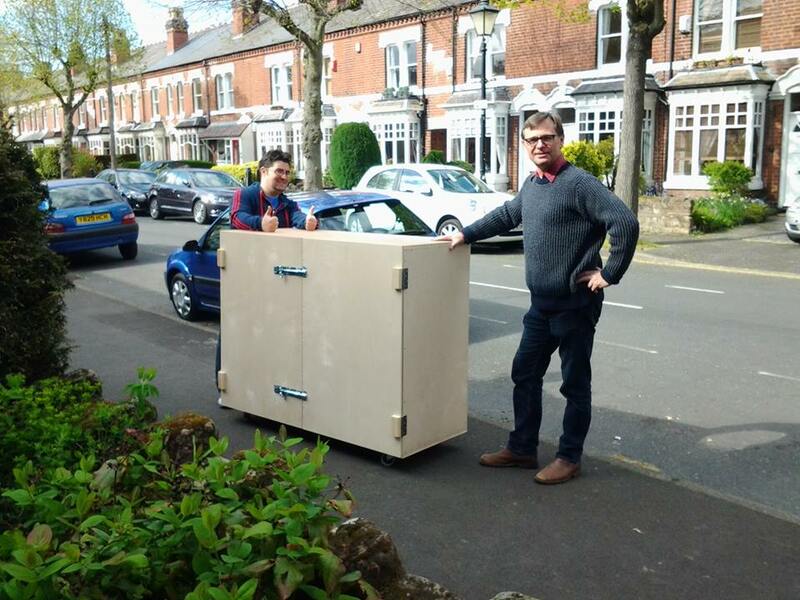 Our lottery grant wasn’t large enough to enable us to pursue new equipment boxes, so we built one ourselves…or rather Gavin Rudge did. Here it is, being wheeled down the roads to the sports centre.